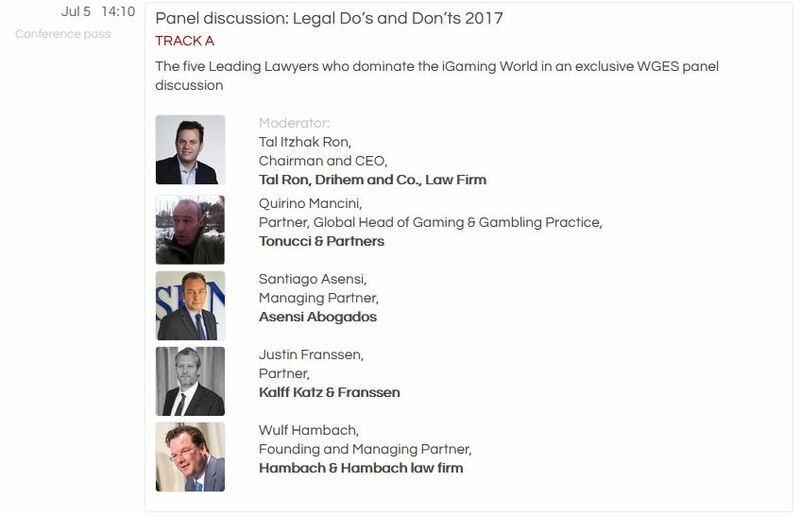 “The five Leading Lawyers who dominate the iGaming World” shall speak in an exclusive WGES panel discussion which will take place at the W Hotel in Barcelona on 5 July 2017 at 2:10pm. The four partners of GamingLaw.eu will participate in the panel which shall be moderated by lawyer Tal Itzhak Ron. WGES (World Gaming Executive Summit) is the most exclusive and influential gathering for the online gaming industry, now in its 11th year.